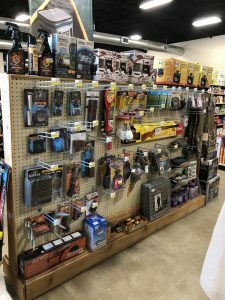 Argyle Feed Store has a wide selection of hunting supplies for you! We stock brands such as RedHead, Browning, Daisy and more. Stop by the store today and stock up before hunting season gets on the way. Here are some items we have in stock in our hunting section. Looking to get your hunting and fishing license? Stop in the store today and we can get you ready for hunting season! Skip the big box stores and shop locally. Save time and find all your hunting and fishing supplies at Argyle Feed Store. This entry was posted on Friday, June 22nd, 2018 at 12:15 pm	and is filed under News & Updates, Wildlife, Deer. You can follow any responses to this entry through the RSS 2.0 feed. Both comments and pings are currently closed.